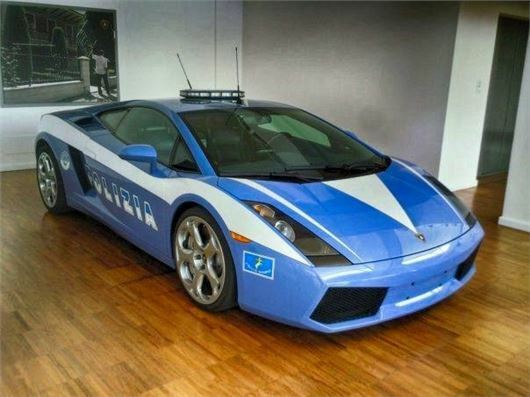 I was saddened by the news that the final Lamborghini Gallardo has rolled off the line at Sant'Agata. I guess my love affair with the 'baby Bull' is rooted - as so many car enthusiasts are - back in the 1970s. In an era when the Internet was but a dream of a mad military scientist, and supercars were far less accessible than they are today, the nearest I came was reading about them in Car magazine. Long and indulgent drive stories had me enthralled, capturing my imagination like no other. The stories pretty much followed the same script: journalist flies to Italy; drives rickety hire car to the factory; finds his car isn't ready; eats pasta; drinks wine; beds down for the night in a Lamborghini employee's flat; comes back the following day; picks up the car; hates it in Italian traffic; heads for the mountains... and has an epiphany. Sounds almost cliched now, but of course it wasn't, because we were gaining entry into a driving world a million miles away from our semi-detatched little England existence. And it was a world that I so desperately wanted to encounter. Fast forward to the end of the 2000s, and thanks to a fortunate sequence of events, I found myself in the position of those journalists of old, able to sample Lamborghini myself at first hand. My first visit was to drive the two-wheel drive Balboni edition Gallardo - a more focused version of the 'baby Bull' bearing the name of the legendary Lamborghini test and development driver. As per the script above, photographer Tom Salt and I arrived a day early - with no car to sample. Instead, it was preening outside the company's flashy new entrance at its headquarters, alongside a Gallardo and Reventon. But this was 21st century Lamborghini we were dealing with. Audi-controlled Lamborghini. Corporate Lamborghini. So, instead of kicking our heels, and enjoying the local hospitality, we were shuffled around the Gallardo's production line, and treated to a look at the company's in-house museum. And instead of dossing down, Lamborghini provided a hotel. Time, it seemed, had taken away Lamborghini's amiable ramshackleness of old. The following day, the car was made ready for us. It was a Saturday morning in August, and pretty much the whole of Italy was on holiday. And yet, the head of Lamborghini communications, and Valentino Balboni himself had come to meet us - the former to open up the factory gates, and the latter to be at our disposal for the day. While Tom took photos of the new Gallardo in front of the factory's original 1960s frontage (and not the mirror-glass of the new entrance), which Lamborghini sensitively retained, I chatted to Valentino. It soon became apparent that this charming man (who I'd later found out, could drive like few others), lived, breathed and worshipped Lamborghini - so much so, that when we both visited Ferruccio's grave later that day, I swear he shed a tear or two. His passion for the company was boundless, and it did a great deal to bolster mine even further. After a long day's driving, and photographing the Gallardo, we rolled back into the factory, my strongest and most powerful feelings were of sadness. Sadness that one of the most special days in my life was over. Sadness that I'd never be able to afford a Lamborghini of my own. But more than that, I was happy to discover, that despite the polish and professionalism Audi had brought to Lamborghini, the passionate heart of the company was still beating as strongly as ever. But there are many other reasons to love the Gallardo. Its V10 engine howls like no other supercar's, and yet thanks to compact dimensions and Audi switchgear and controls that actually work, it it not an intimidating car to drive. In fact. I'm pretty sure my mum could drive a Gallardo. Since that first drive, not only have I returned to Sant'Agata many times, and have driven pretty much every car the company has built (for which I never forget how lucky I am), not once have I been close to changing my opinion about the cars and the company. Even when a Countach I was driving broke down on me in rural Italy, following a 1000-mile drive from England. Back in the 1990s, Lamborghini worked on its ill-fated L140 programme - a 'baby Bull' that would have slotted into history between the Jalpa and Gallardo. The prototype above, pictured at the Lamborghini museum, shows that the programme was advanced. It never reached fruition thanks to a lack of money under Chrysler's ownership - and it was only with the onset of Audi and its billions, that the idea was dusted off to become the Gallardo we know and love today. Launched in 2003, the Gallardo immediately found popularity. Its looks were just right, and buyers loved its V10 engine and four-wheel drive grip. All it lacked were scissor doors, which were reserved for the more expensive Murcielago. The Spyder joined the range in 2005, which was further developed through a series of special editions, including the lighter and more powerful Superleggera. The fastest Gallardos were the Super Trofeo Stradale and the Squadra Corsa, which were still capable of putting up a great fight against the much younger Ferrari 458 Italia and McLaren 12C. And in the end, more than 14,000 Gallardos were built, making it the most successful Lamborghini ever made. Well, boys, I hate to disagree. As hardened hacks, you may think that, but when you fully experience the joy in the eyes of car lovers in the real world when you roll down the road in one, it's fair to say that the passing of a Gallardo is still very much a special occasion for most people. As for the driver, that will come when you open the floodgates for the first time on that wonderful V10.